Ommy Dimpoz undergoing a major surgery in South Africa sometimes in June this year. The ‘Nai Nai’ hit maker developed serious complications on his throat while attending Alikiba’s wedding in Mombasa. He traveled to South Africa where he went under the knife to have his esophagus rectified. Ommy was recently flown back to South Africa for treatment after his condition worsened. 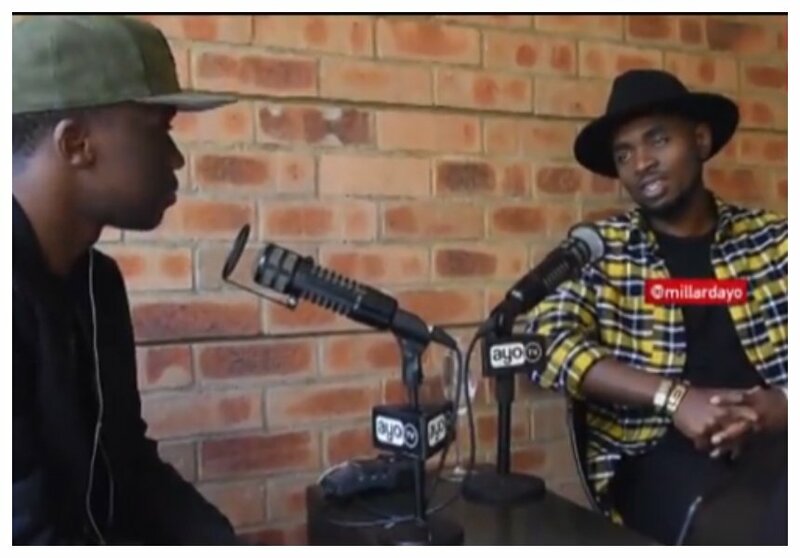 The Bongo singer revealed that poison is the genesis of his condition during an exclusive interview with Millard Ayo. He disclosed that doctors in Kenya asked him whether he had ever taken poison while he they were struggling to diagnose his condition. “Lakini wakaniuliza haujawai kunywa sumu? Nkawaambia hilo ni swali ngumu maanake ukisema nimekunywa sumu inamaana mimi ninywe sumu nataka kujiua ama vipi? Lakini wakaniambia kesi yako inadalili zote kwamba ulikula ama umekunywa kitu ambacho ni sumu,” said Ommy Dimpoz. Ommy Dimpoz says that doctors in South Africa also came to the same conclusion that he had consumed poison. He narrates that the doctors explained to him that his condition is mostly caused by consuming poison.